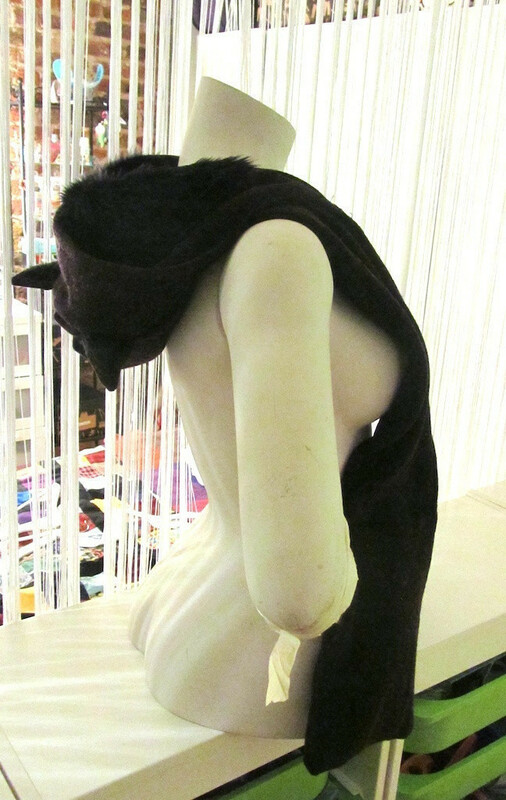 A hooded scarf with cat ears, a faux fur hood and mitten pockets. A cat hooded scarf will keep you looking cute in the winter, while the furry hood and mitten pockets will keep you warm. 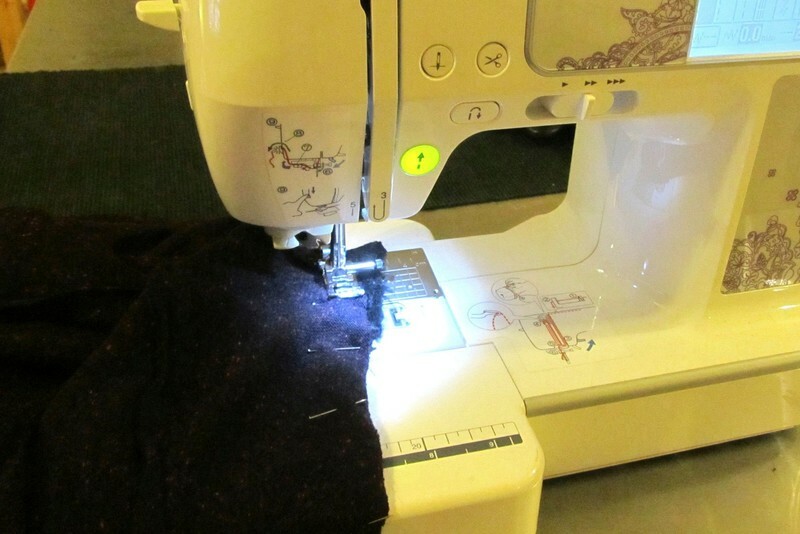 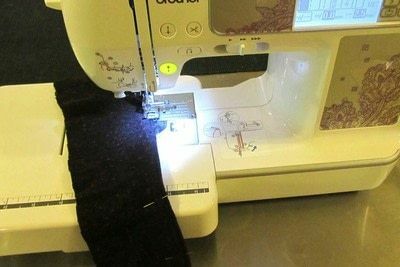 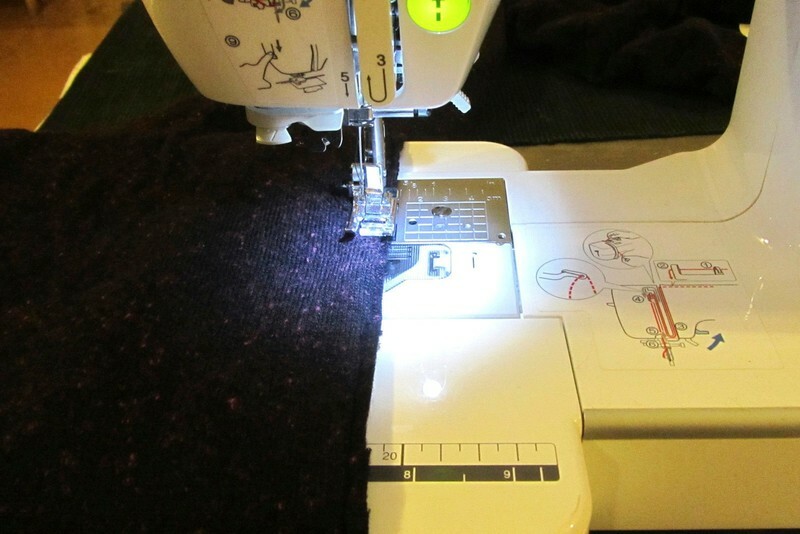 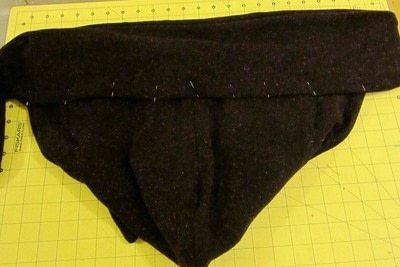 Pin the hood template to your fabric. 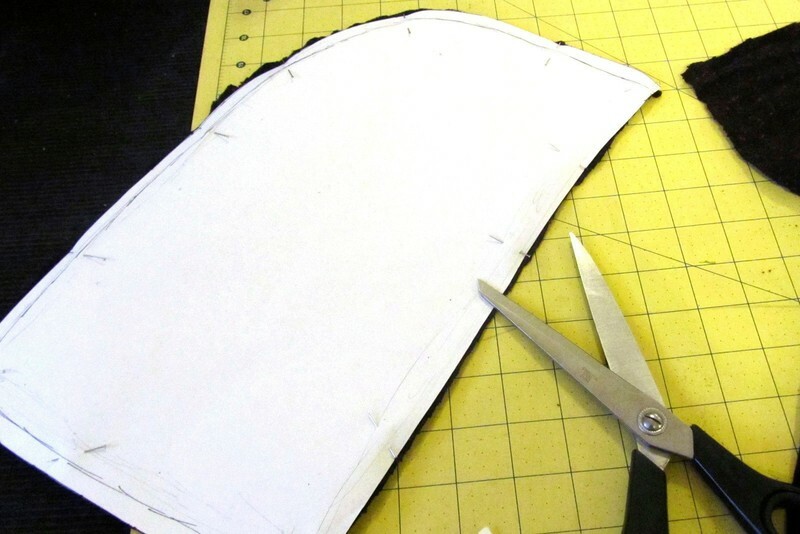 Repeat but flip your template, so that you have both sides of the hood. 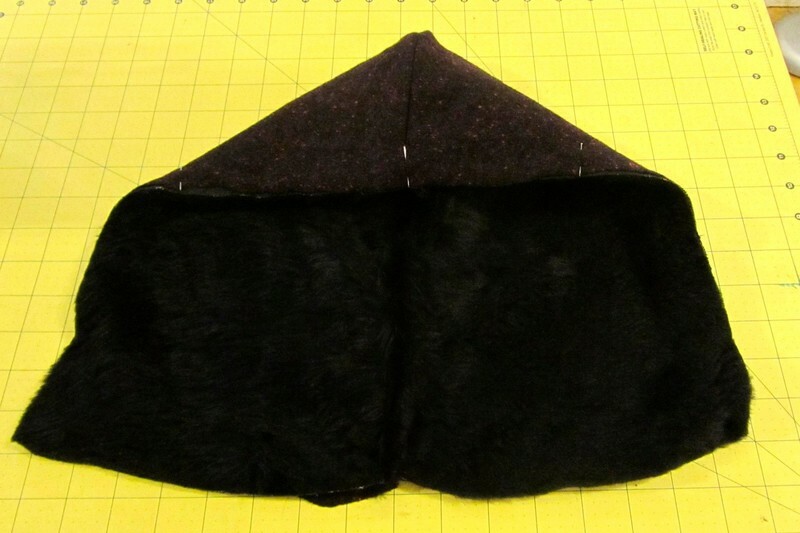 Now pin your hood template to the furry fabric and cut out two of these. 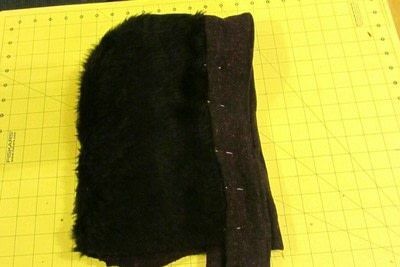 Pin together the two sides of the fabric hood, and then the two sides of the furry hood. 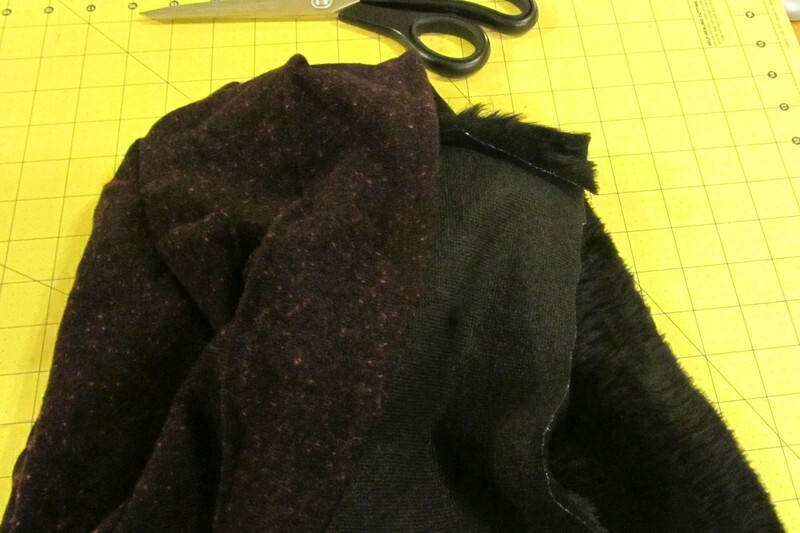 Sew the hood together and then sew the furry hood together. 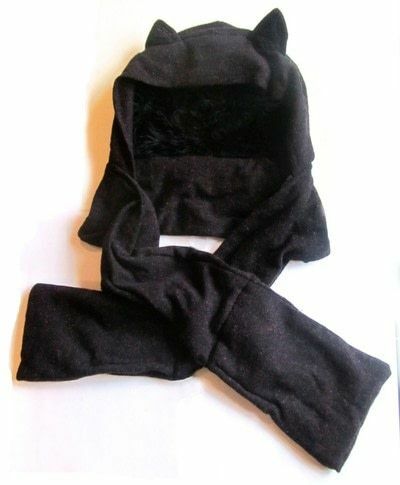 Place the furry hood inside the hood. 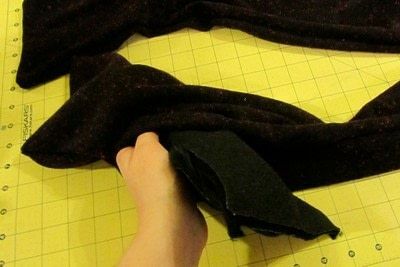 Pin the hood band template to your fabric. 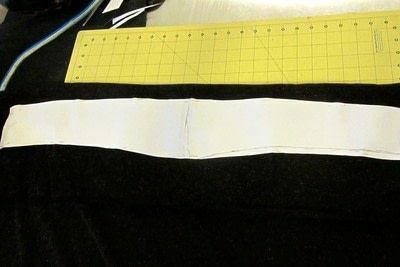 Cut two of these out and pin the two strips together along one edge. Sew along the edge and remove the pins. 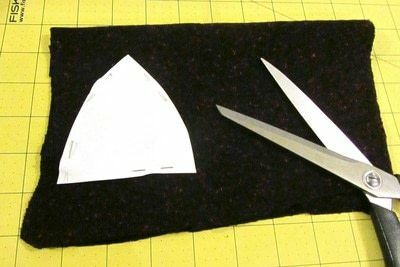 Fold inside out and pin along the same edge one more. 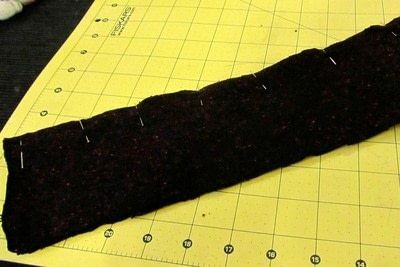 Sew along this edge, to give the band a nice finish. 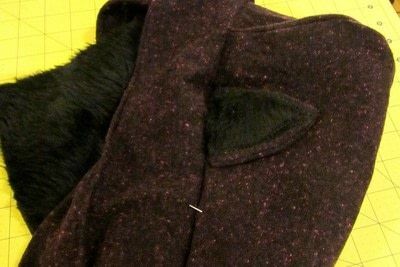 Pin the ear template to the fabric. Cut out four large ears from the main fabric and two smaller ears from the fur. 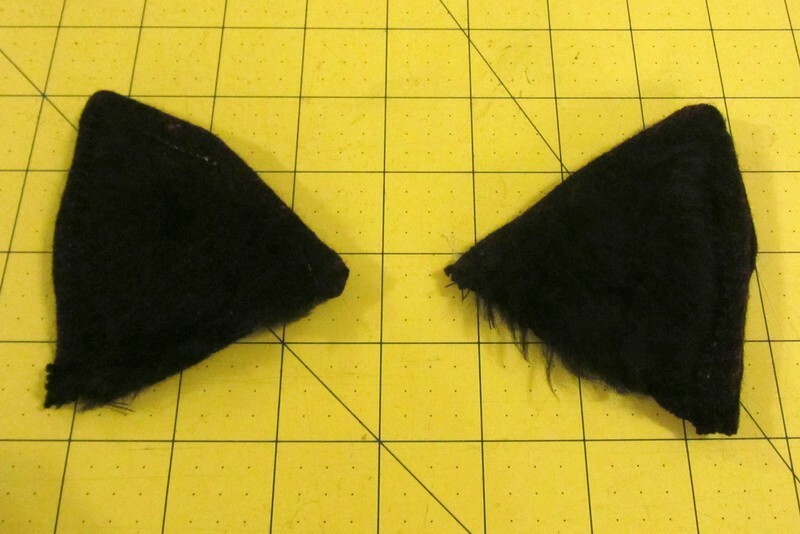 Sew the smaller fur ears on to two of the larger ears. 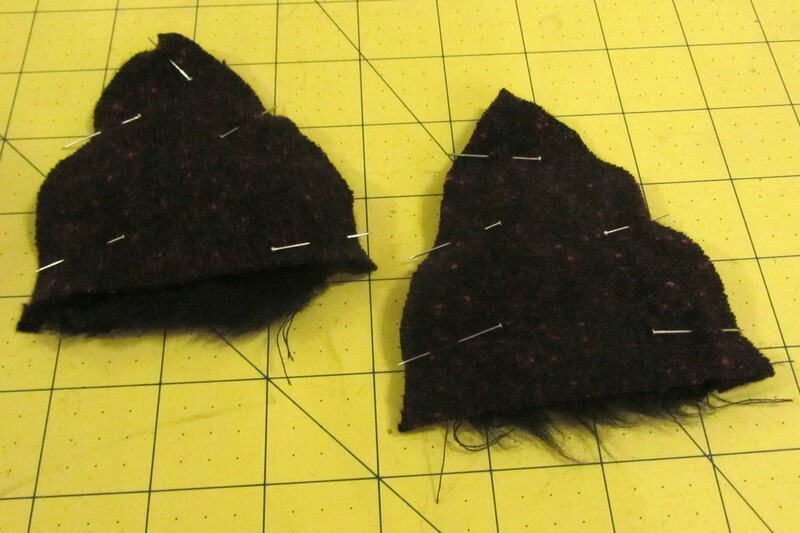 Place two of the larger ears together, so that the fur is on the inside and pin around the edges. 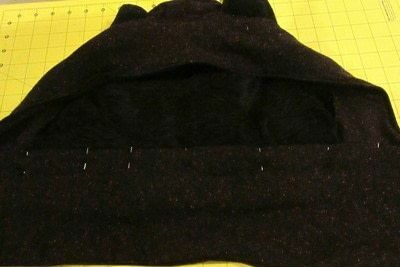 Sew around the edges, leaving the bottom unstitches. 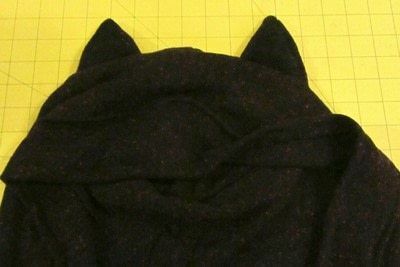 Place the two ears on either side of the hood. 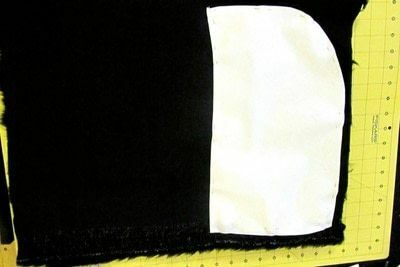 Place the fabric band at the front of the hood. Fold inside out and pin the edges together, with the ears in between. Slip the fur hood inside the main hood. 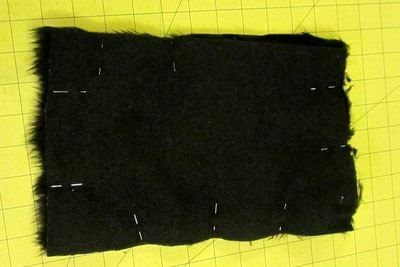 Fold inside out and pin the inside of the band neatly over top before stitching in place. To make the scarf, cut two rectangle of fabric measuring 175 cm x 15 cm. 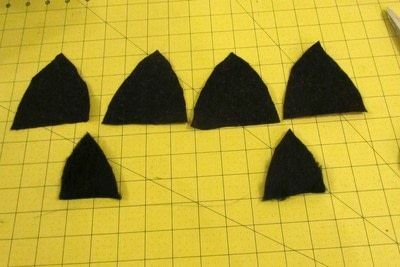 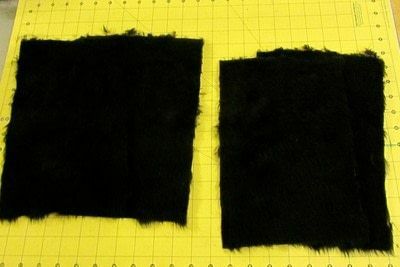 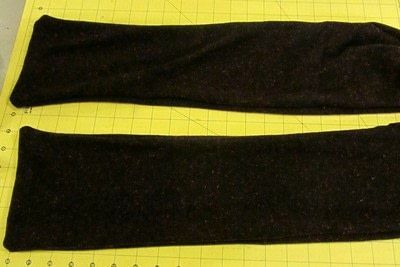 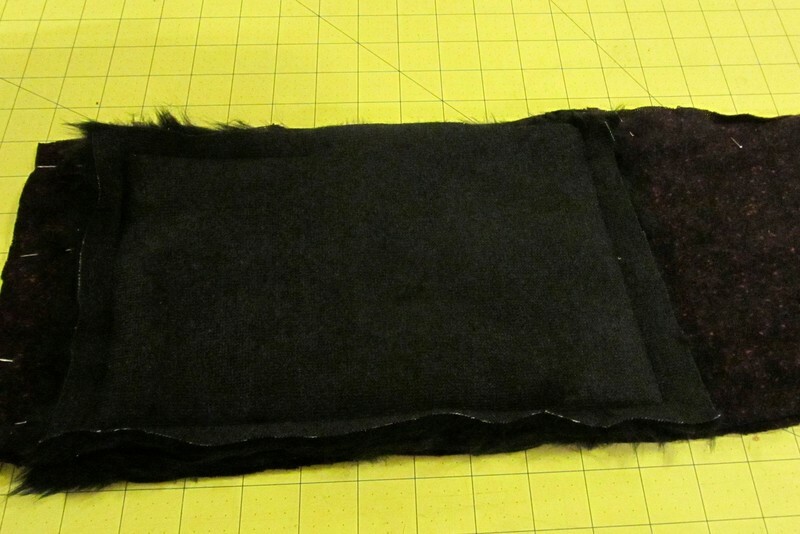 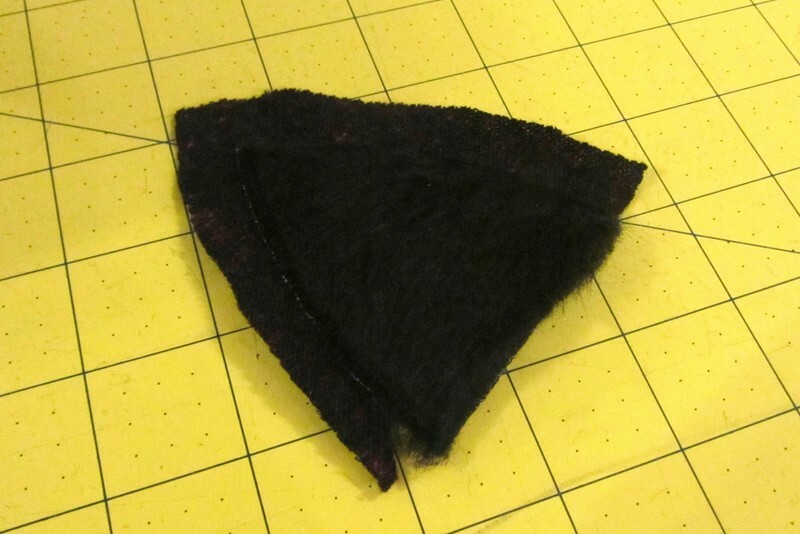 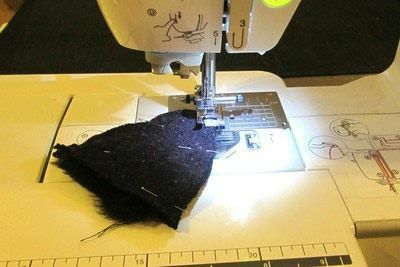 For the pockets, cut four rectangles of furry fabric measuring 24 cm x 15 cm. Place the two pocket pieces on top of each other, with the furry sides facing and pin around the edges, leaving a 15 cm gap unpinned. 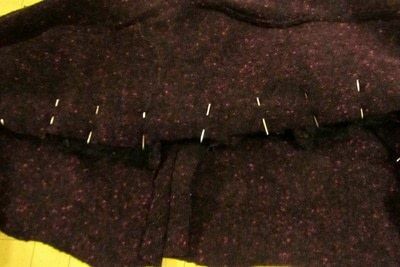 Sew around the edges, leaving the unpinned side unstitched. Place the two lengths of scarf on top of each other and pin along one side. Sew along this edge and remove the pins. 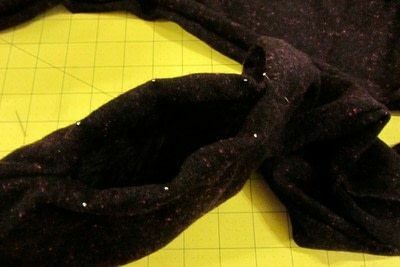 Place the pocket on the bottom edge of the scarf for reference and pin along the edge of the scarf, leaving a gap where it meets the gap on the pocket. 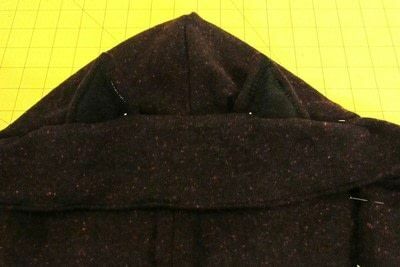 Also, leave a gap on the opposite side in the middle of your scarf, measuring the width of your hood. 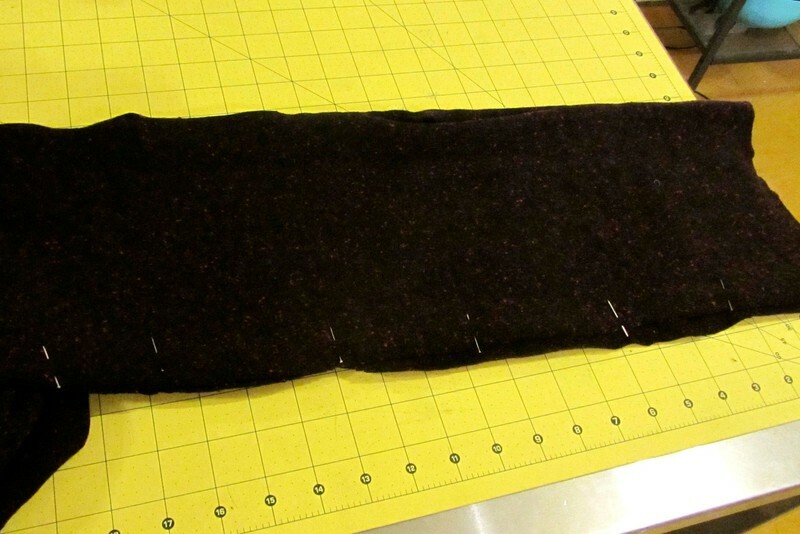 Pin along the bottom edges of the scarf too and sew along the pinned edges. 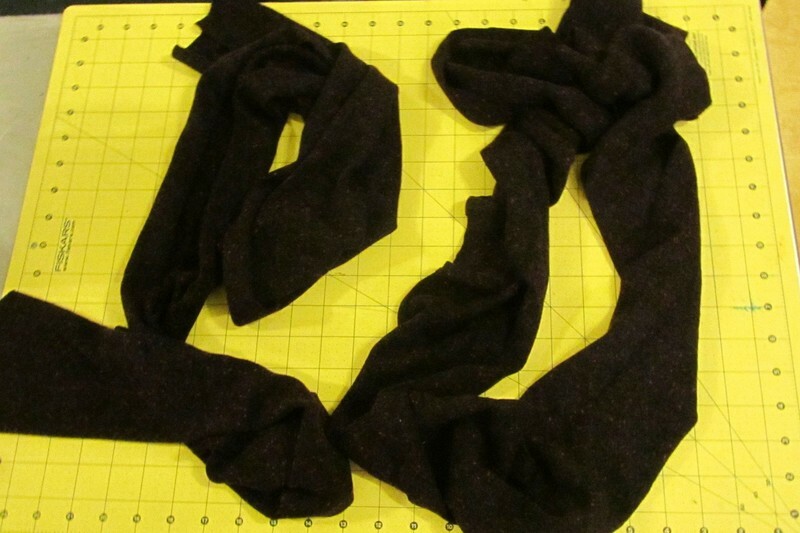 Fold the scarf right side out. 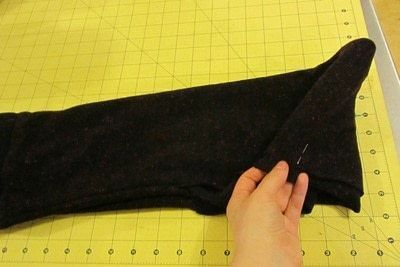 Slip the pockets inside the openings at the bottom of the scarf. 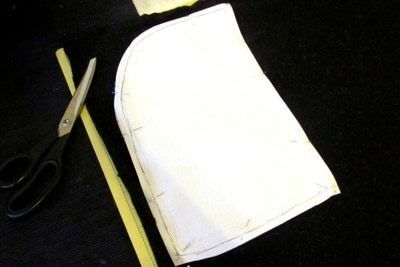 Fold and pin the edges around the pocket opening, so that they look neat. 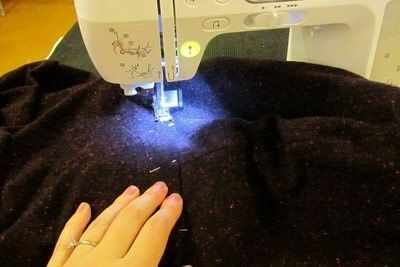 Sew around the edges of your pocket. 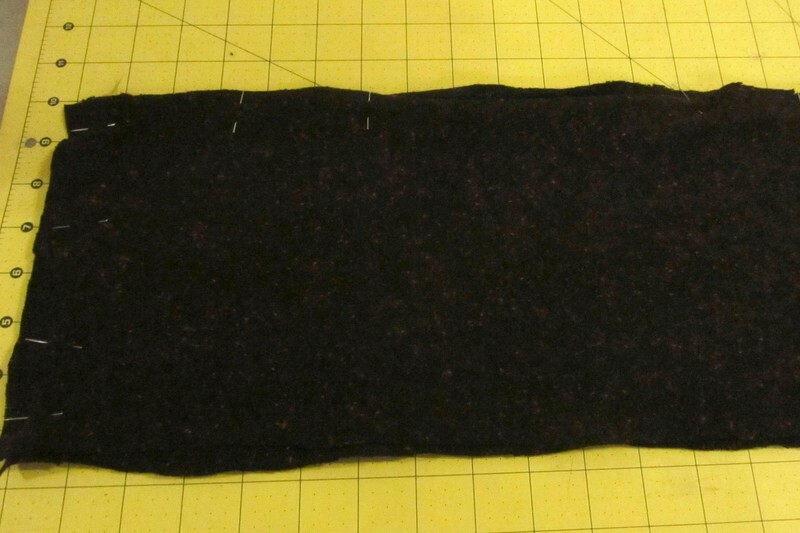 Also, sew across the scarf, where the top of the pocket would be. 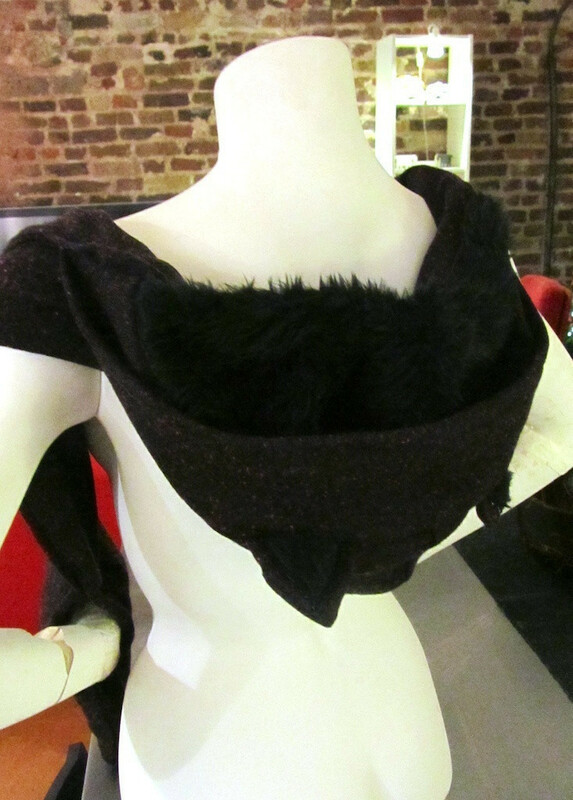 Slip the hood in it's opening in the middle of the scarf and neatly fold over the outside edge and pin in place. Sew in place and you're all finished. 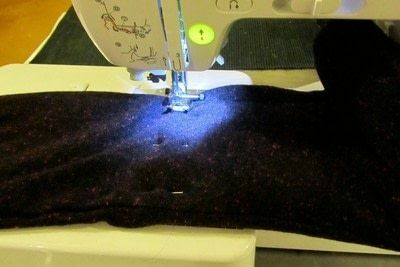 Unfortunately it was quite tricky getting a decent photo with the fabrics being so dark, sorry about that. Which bits did you find unclear? 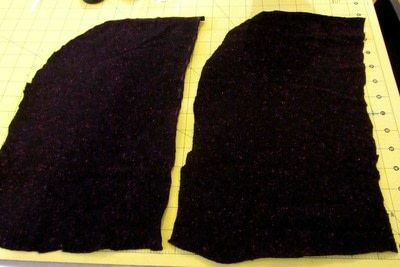 I'll try and rewrite them. 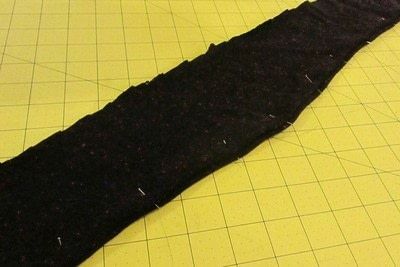 Awesome, I can't wait to see it when it's finished! 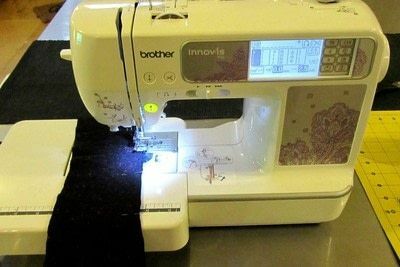 Is there a template? 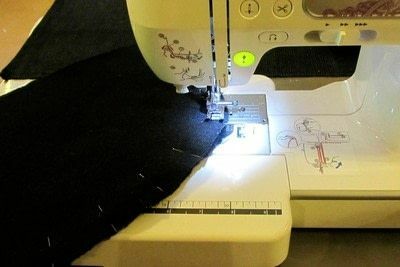 It would make it so much easier to do. It looks amazing btw!!! 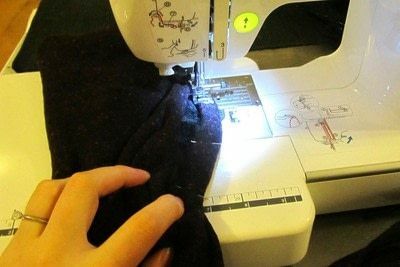 Where's the template for this? 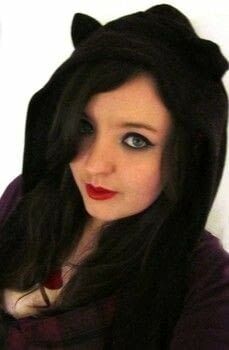 Am I being dim? 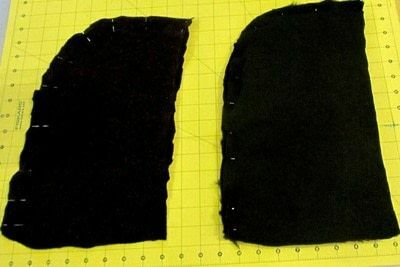 I can't seem to see it! Pffew! 42 steps but must be oh so worth it! It's really adorable, bet you get a lot of compliments!